Back when SponsorPitch was first launched in 2009, some of you probably recall that SponsorPitch provided the opportunity to create a property profile. From that experience we learned a lot about what works and what doesn't. What information sponsorship properties (sellers) want to display and what information marketers (buyers) need to know. Taking all of this into account, I'm happy to report that as of yesterday, we've launched a new and better way for sales executives to manage a SponsorPitch profile for their sponsorship opportunity. In many ways, our job was easier this time as we took a lot of what you find so useful about finding targeted sponsors in the Sponsor Index and applied the same principles to allow marketers to find targeted sponsorship opportunities in what we're (naturally) calling the Property Index. Rather than cobbling together a bunch of different resources, marketers can now instantly search through, learn about and connect with thousands of sponsorship opportunities in hundreds of different genres at no cost. Marketers can browse and search for new opportunities whenever a need (or if your an agency, new client pitch) arises. The Property Index currently includes 1,500 of the most prolific properties throughout the world. Each property listed has at least one existing sponsor. If you search for your property and find it is missing, all you have to do to get it added is enter a deal for it. You can select the sponsor from the drop down, click New Property and follow the rest of the steps. Once a deal is added, the new property will appear in the Property Index. 6. Moderate the Key People and Sponsorship Deals that are associated with your property on SponsorPitch. If you currently work at the property, you may add your profile to its 'Key People' by clicking the button to the right called 'Add Your Profile To Key People', but if you would like to manage the page and improve it you'll need to be granted special access. Page management access is granted to professional members that are verified to be currently working at the property or an agency of the property. Finally, anyone can receive updates from the property, just like they would when following other members or brands, by clicking the 'Follow This Property' button. You can search the Property Index by keyword or by filters such as location, property genre and demographics. The more information you add about your property in managing the page, the more likely it is to appear in targeted searches such as when a marketer seeks sponsorship opportunities in a particular property genre, located in particular city or reaching a particular demographic. 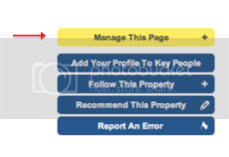 The feature set for managing property pages will of course improve over time, but we wanted you to be among the first to know about the Property Index so you can get started managing your own page. In the meantime, feel free to let me know what you think and how SponsorPitch's Property Index can be improved to better serve your needs.